Four videos appeared from CCTV cameras capturing the fighting amongst the Russian(-backed) gangs in Donetsk were some guys got severely beaten up and one with (deadly) head wound. I put the videos in one bigger one and aligned them, so it can be much clearer seen what had happened. Welcome to the street justice of Barbarossiya!!!! 22:59 now (after the phone call?) #8 threatens the guy at the bench!!! 31:08 on the background the guy with machinegun AGAIN quarrels with someone over it. 31:15 #9 is allowed to. Maybe he just tried to save the victims, but has nothing to do with them. 35:40 again arguing within the gang. Do we really want these guys to take over and rule Ukraine? This video is a mini documentary about a Smerch attack on a Ukrainian camp FROM RUSSIAN TERRITORY. 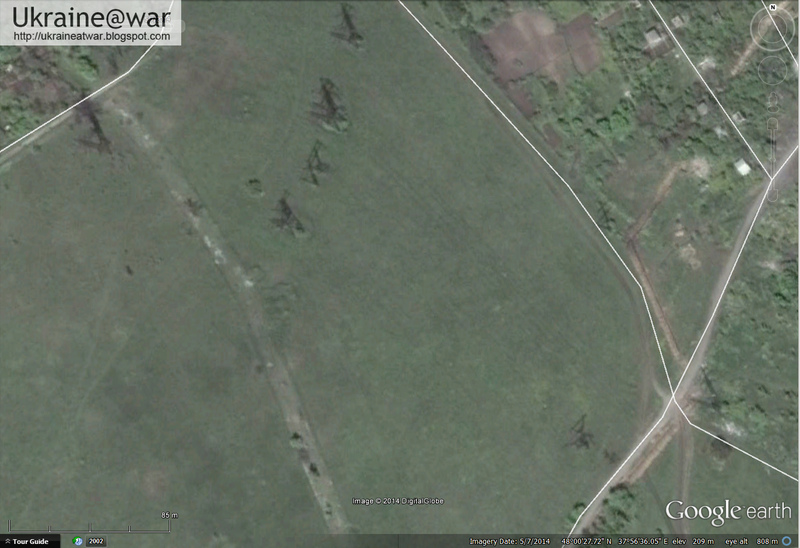 The location is Dmytrivka, north of Lugansk (not to be confused with the Dmytrivka near Marinovka border crossing!). This had happened on the evening/night from 3rd to 4th September, but the videos were uploaded later and did not get much attention at all. Yet the incident remains very important for several reasons. 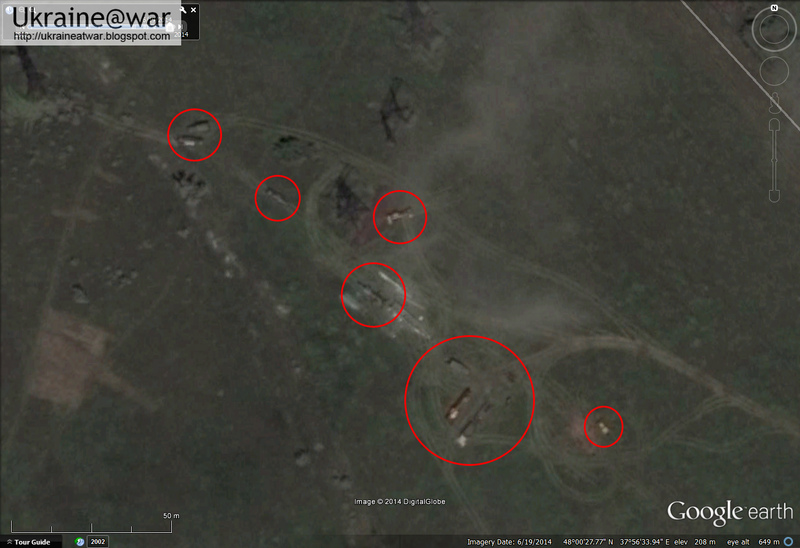 Besides the tents, there was another position with a lot of vehicles. The church is also indicated on the map above. At 3:19 the woman talks about the direction from which the rockets came. She says she could tell, because she could see the smoke trails of the rockets. 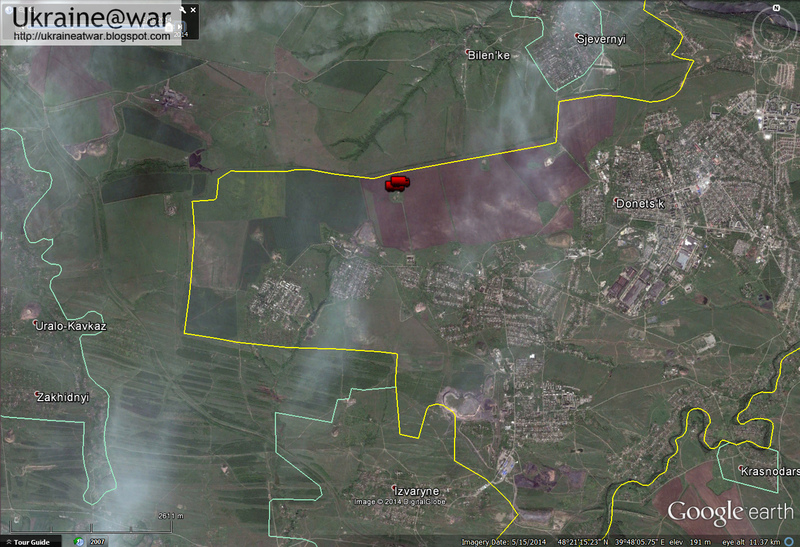 It is some 45 kms to Lugansk or the Russian border. Max range for Smerch is 70 kms. 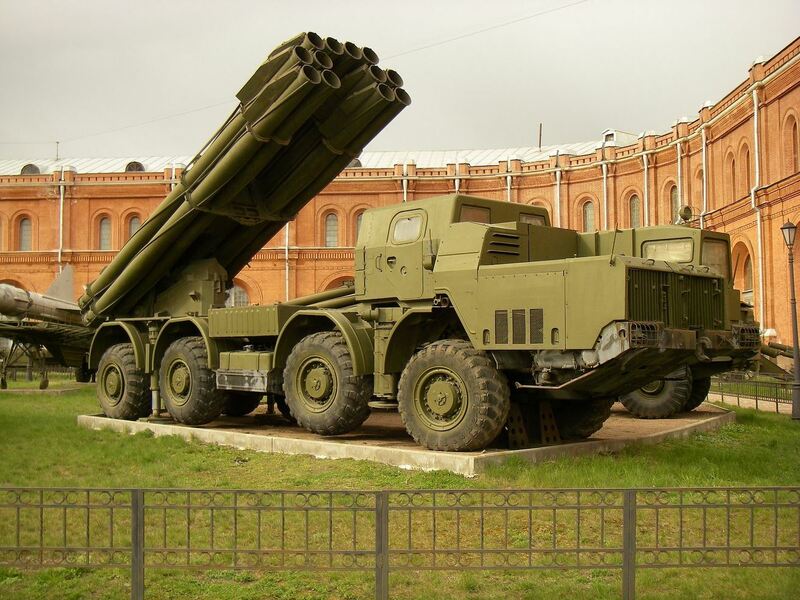 This is Russian URAGAN (Tornado) MRLS shell w appropriate serial number. This is only one of the shells that hit the camp. 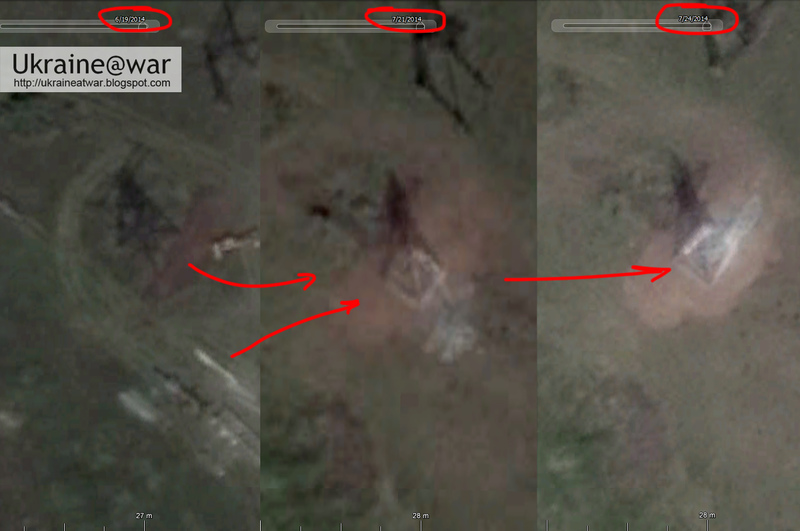 This is the same shell that Russian TV stations on news showed "how Ukraine army shelled peaceful Ukraine village". To secure punitive army narrative. They are mocking Russian journalists claiming that they clearly lack knowledge of physics or if even know then they bend the laws of physics on purpose making these shells like a magical one who make magical twists in sky before exploding. 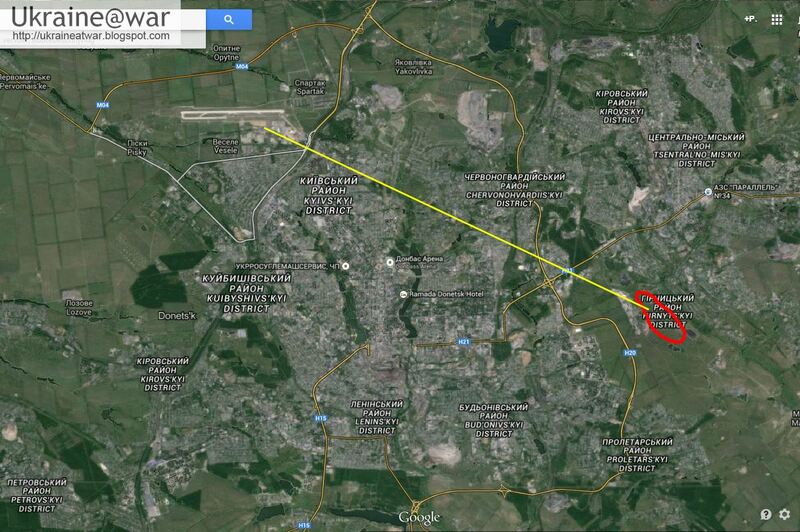 Per trajectory it's is evident it didn't come from Luhansk but from Russian territory. The number he shows at fins are manufacturer number indicating whose rocket it is. 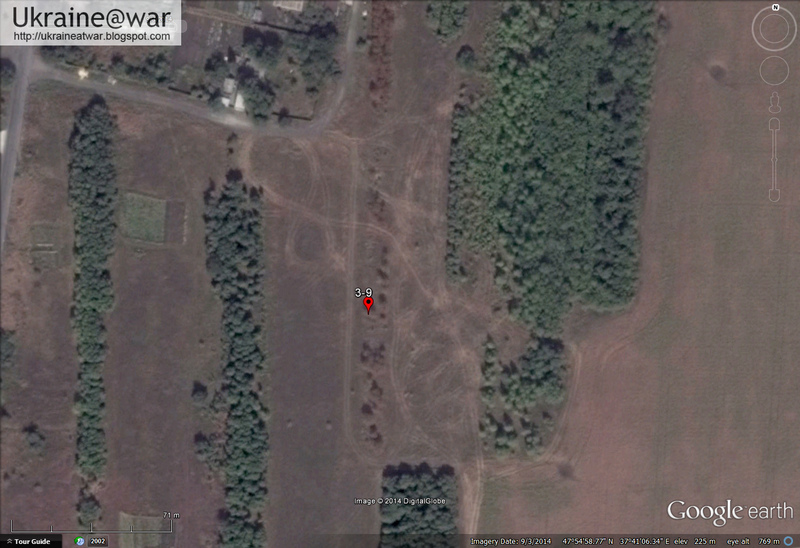 The red x is the location of the rocket. Are all these people lying?!!! Orange line = how it ended up after it had hit the car. 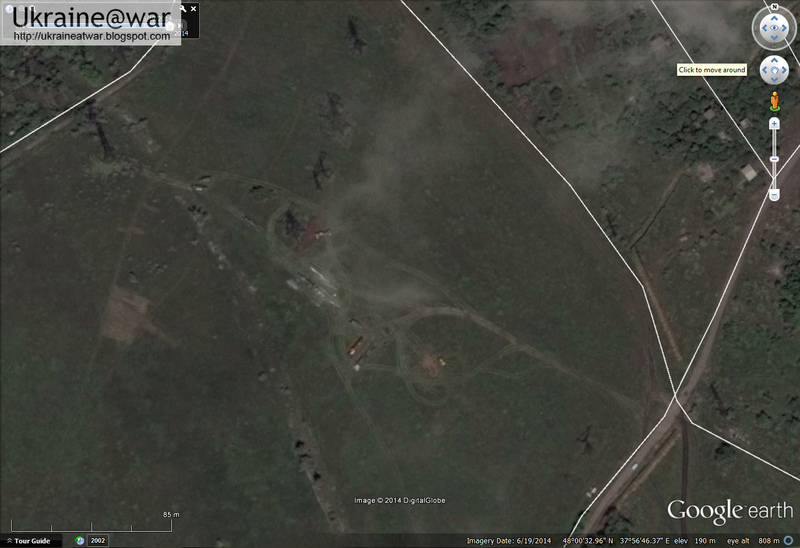 If it would have come from Lugansk, the hole in the roof should have been a lot more towards the middle. The red line indeed shows a direction coming from Russia. 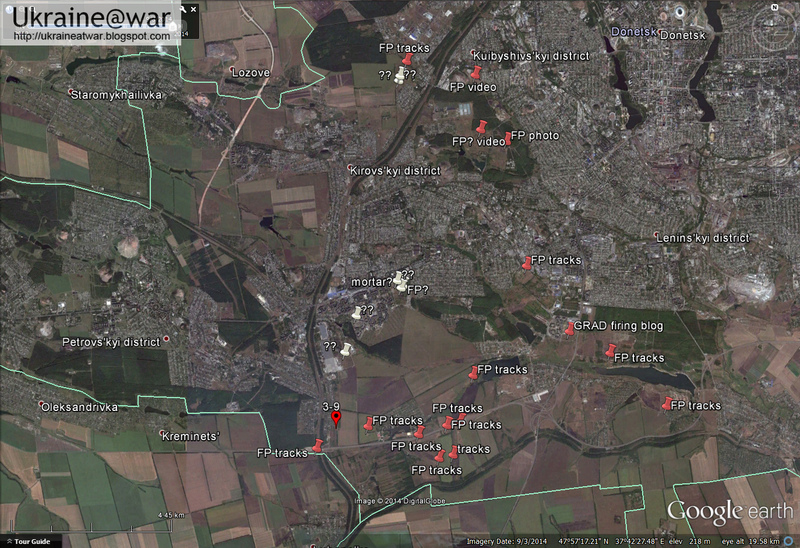 The ATO map from 3rd september shows that attack too. 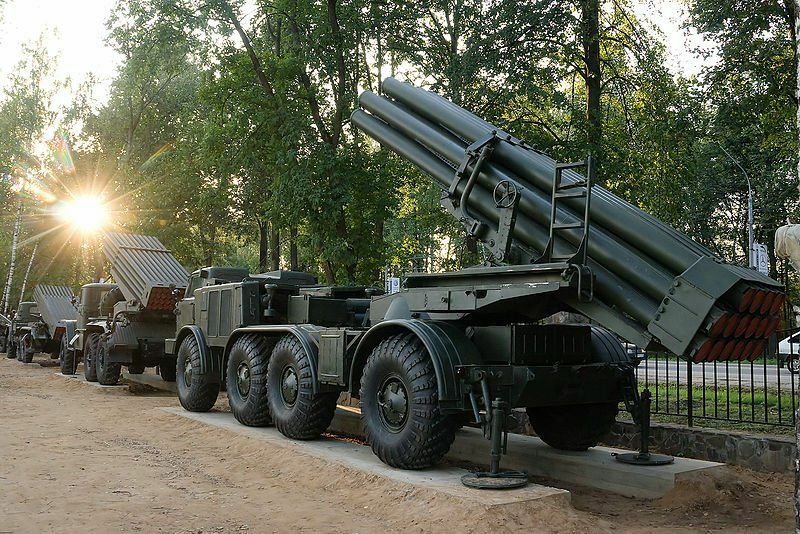 Russia had been destroying a Ukrainian camp 35 kms OUTSIDE the conflict zone, shooting Smerch rockets FROM RUSSIAN TERRITORY into Ukraine. 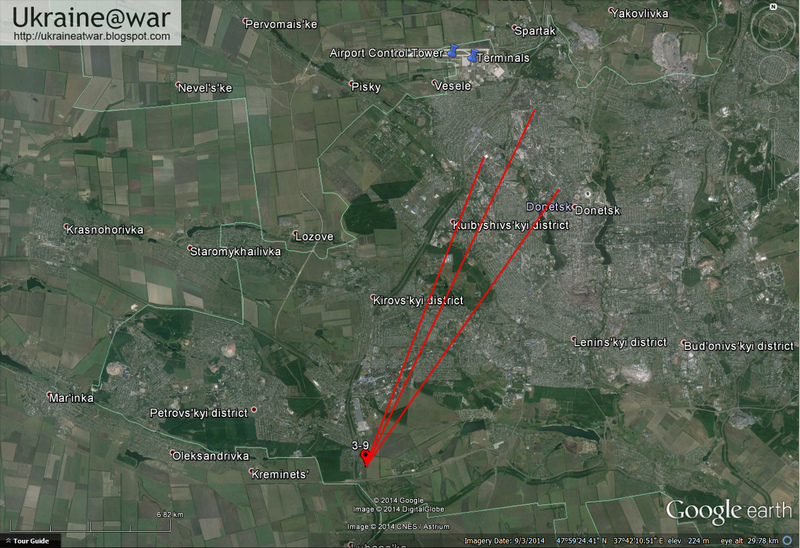 It is clear that the unexploded rocket came from Russian direction. 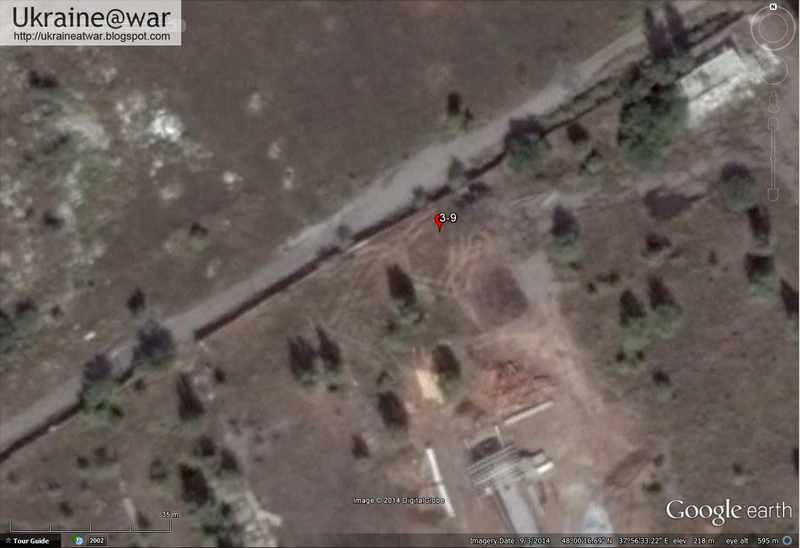 It is a rare case where it had changed course because of the car that it had hit first. But this also means we have to be careful with too quick conclusions based on the impact direction. We HAVE to consider the possibility that rockets or shells hit something else first and thus changing course before final impact. This doesn't make life easier for us... :-(. 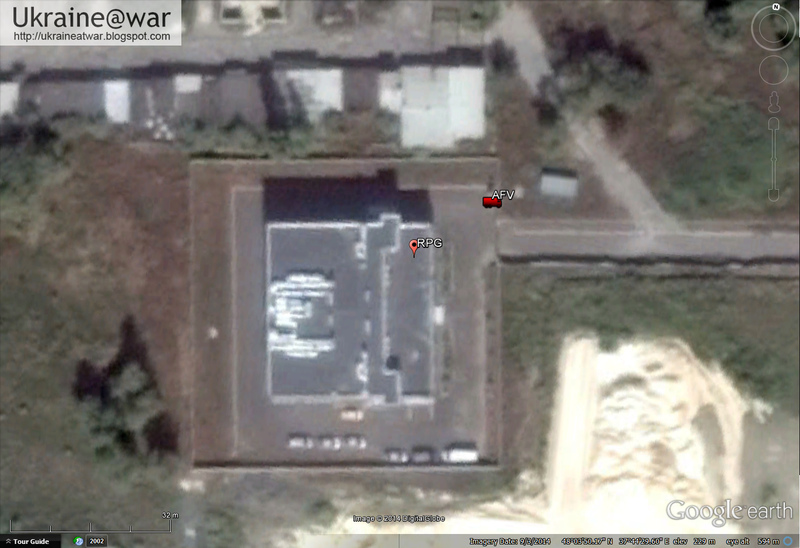 Russian Uragan/Smerch/Tornado team caught on satellite images in Donetsk? 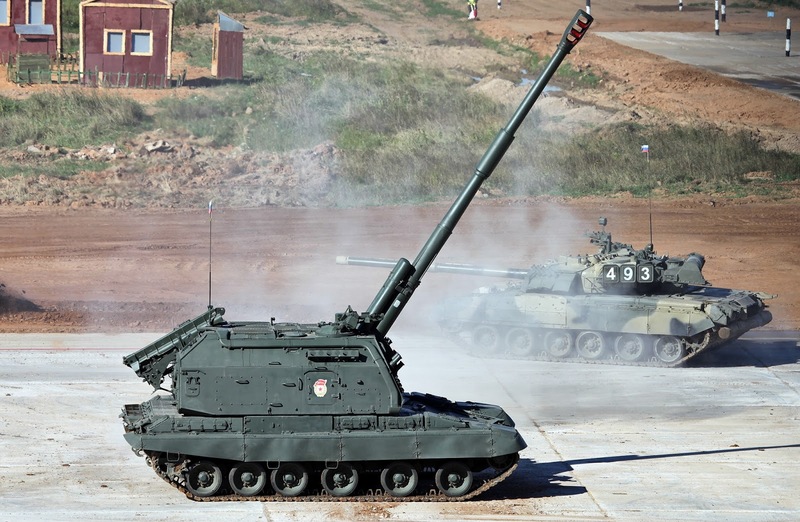 shows a Russian artillery team working with an unusual type of vehicle. Some vehicles can be identified as trucks, but others are longer, elongated and small and irregular. 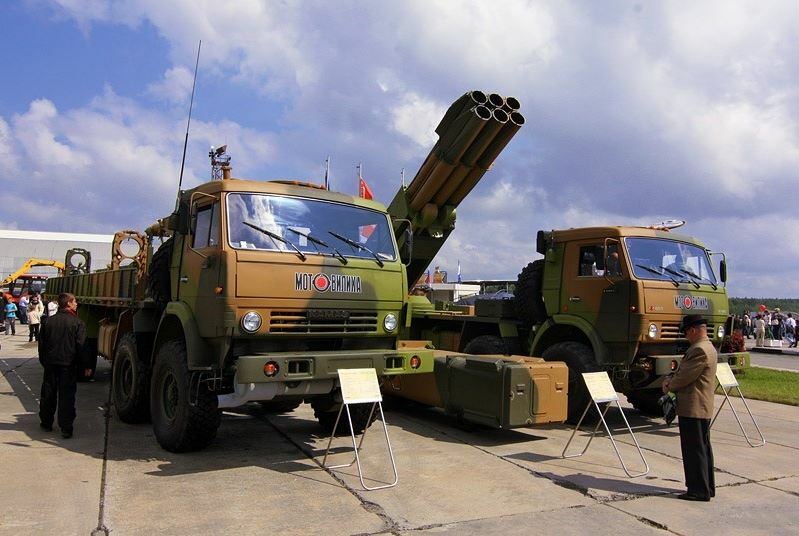 These are definitely NOT GRAD rocket systems. 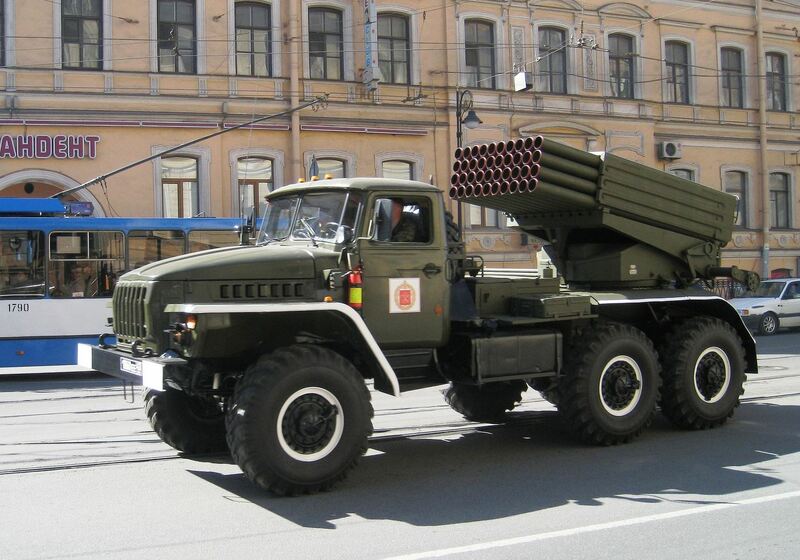 They look more like Uragan, Tornado or Hurricane launchers and loaders. Clearly a truck can be seen. Then there is one that looks like a crane or bulldozer with a very distinct shadow as if something is raised up in the air (#1). The other two vehicles are in a row as if one is towing the other, or it is loading (something like rockets into) the other (#2 and #3). The little one on the right may either be a jeep or just a car. 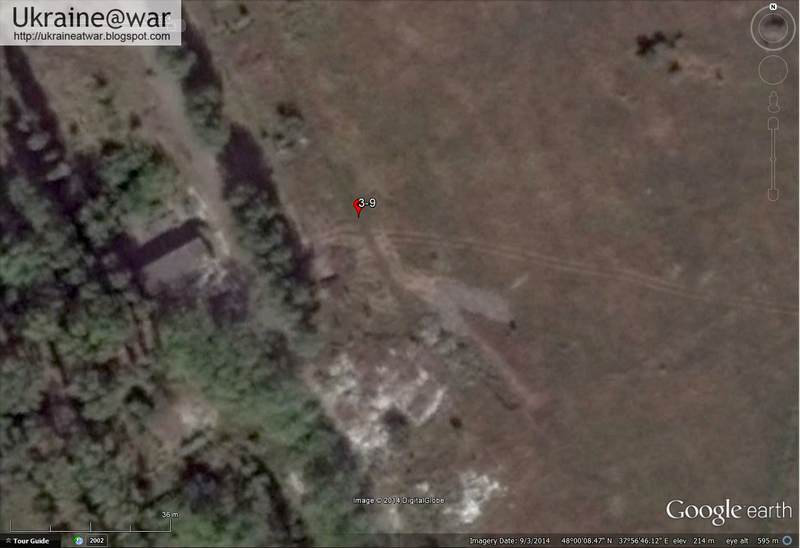 The approximate length of #1 (as indicated on the image and by using the Google Earth measuring tool) is some 10 meters. Length of #2 is some 7 meters. #6 and #7 both seem to be some 8 meters. The other one is a truck. GRAD is just too small. 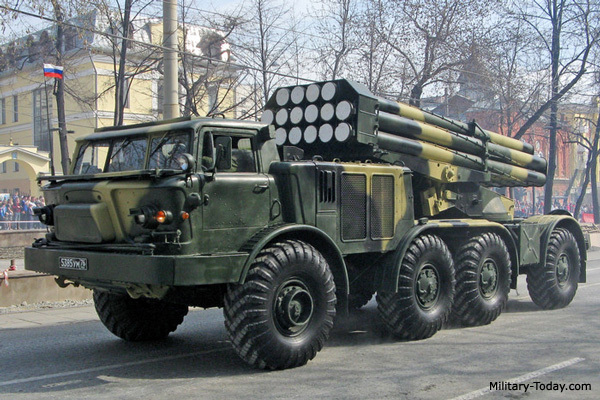 We know the Russians use 220 mm cluster ammunition, so it must be Uragan/Hurricane or maybe even Smerch. Tornado is the newest system that would replace all of the previous systems. It is unlikely that at this moment they would used the newest toy already. 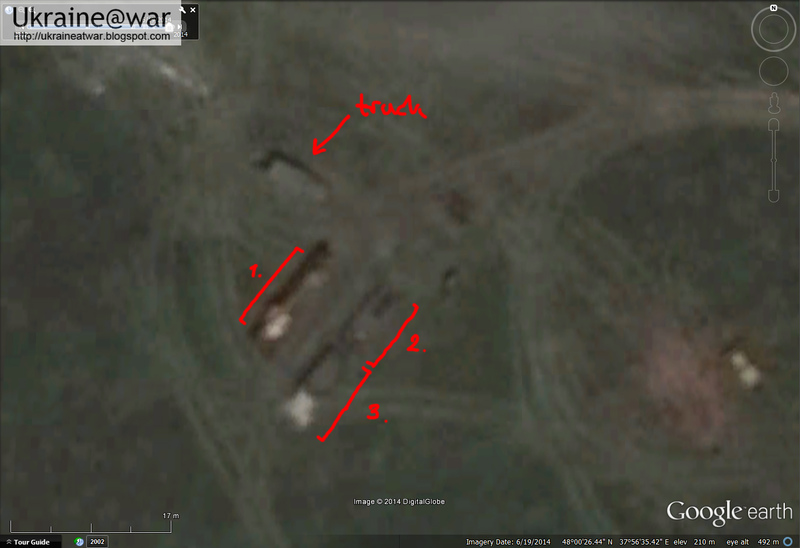 Yet the VERY small launch system that appears to be present on the satellite images may indicate otherwise. 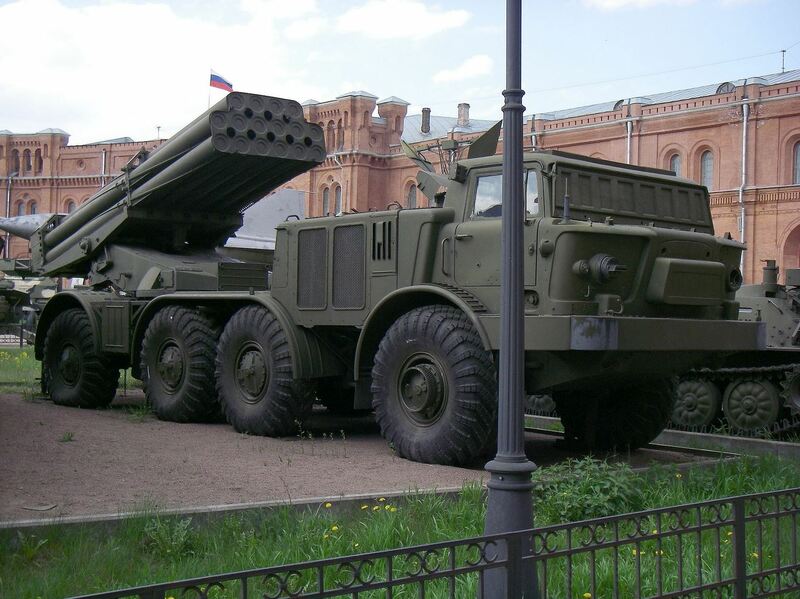 It is possible that the Russian use this war against Ukraine as a test-ground for their new systems of course. These dimensions just do not seem to fit very well. 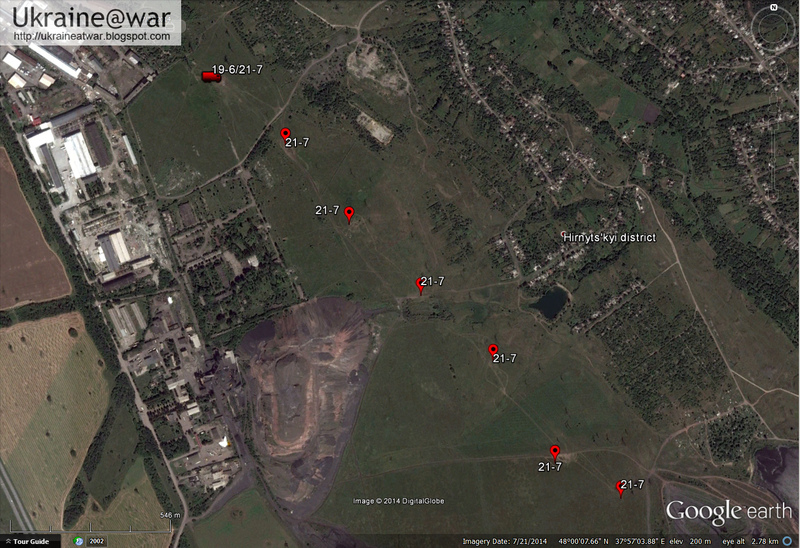 As can be seen, the area has been used much more intense, so this team has been visiting this site more than once. There are five to six other locations where the same track patterns appear on the satellite map of July 21st for the first time that look as intensively used as the first one. An attentive responder to this blog pointed out that what happened above may look like construction work on the power lines!!! Indeed, the first pole seems to be complete renewed and looks silver/white now. The second pole is completely removed!!! First one renewed, four poles removed, activity on the last two, but nothing seemed to have happened there. Ok...!!! My bad. This was construction on the electricity lines. I didn't know they just keep doing that in war time. 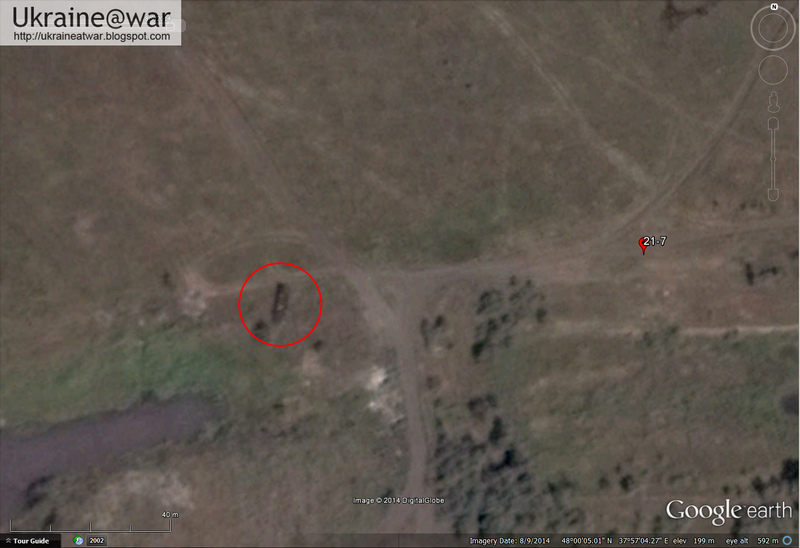 From this firing position basically all of Donetsk can be reached. 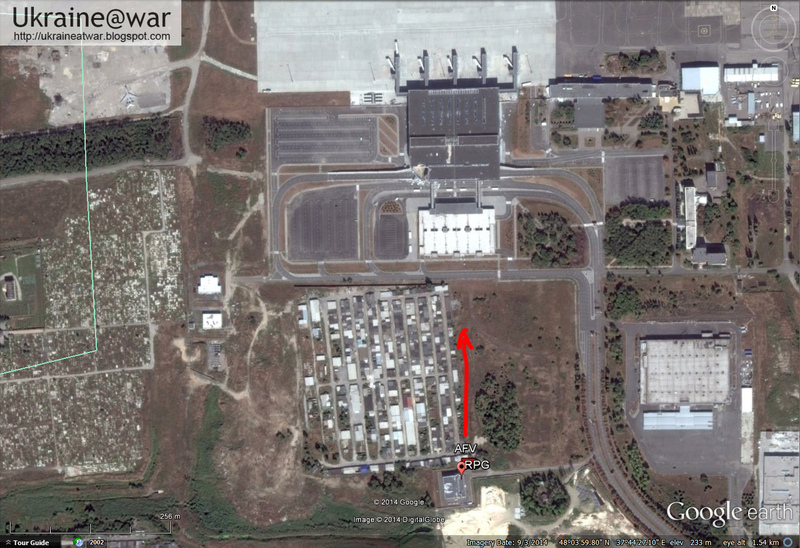 Donetsk Airport is at some 17 kms distance. 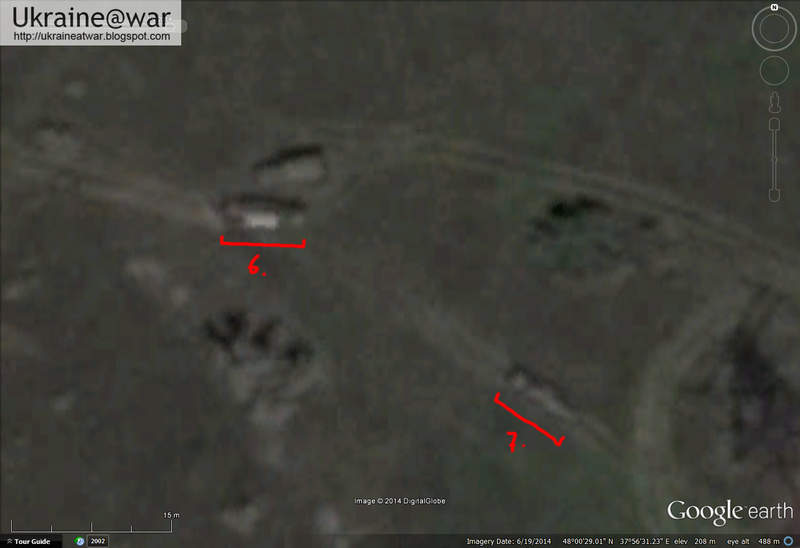 Same patterns, same intensive use of the location. This time: no electricity poles nearby...!!! 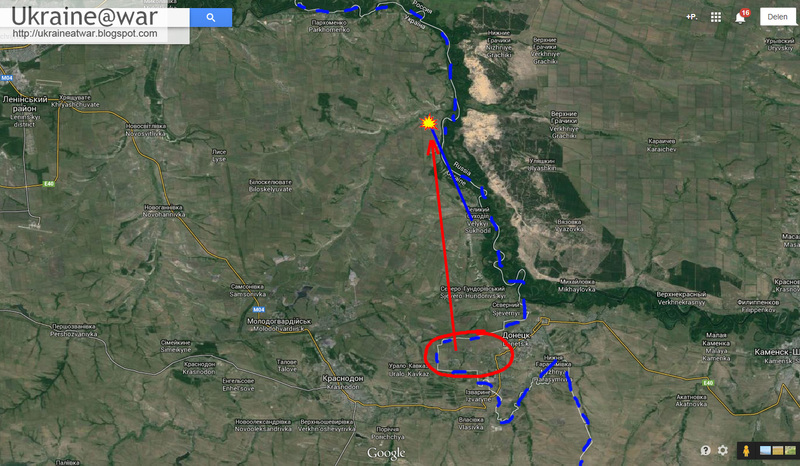 Such a location can easily be used to fire from a SW direction onto the supermarket, bus station and Red cross area (red lines) where we know attacks have occured, but TO MAKE IT LOOK LIKE if it comes from the Ukrainian held territory of Novomykhailivka. The distance to these location is 14 kms and more. 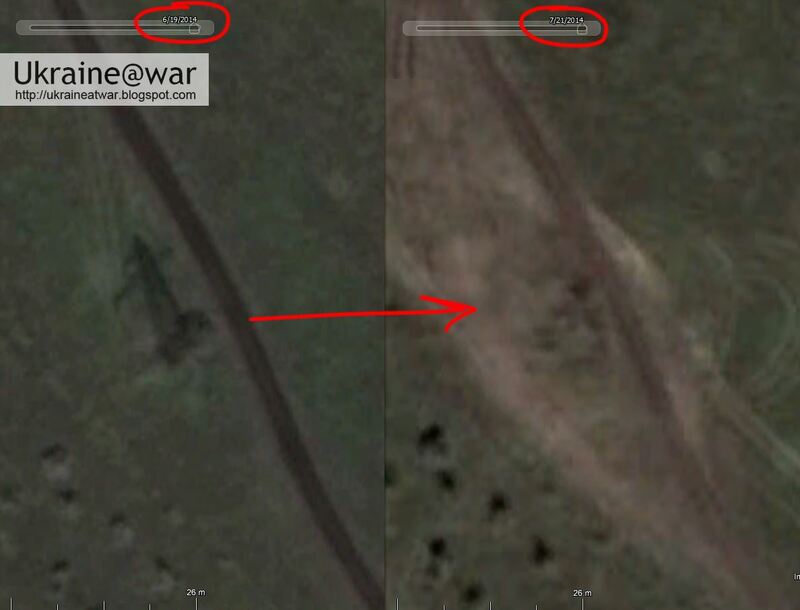 Most of them are based on similar unusual track patterns that could be found, but some are based on geolocated videos and photos. 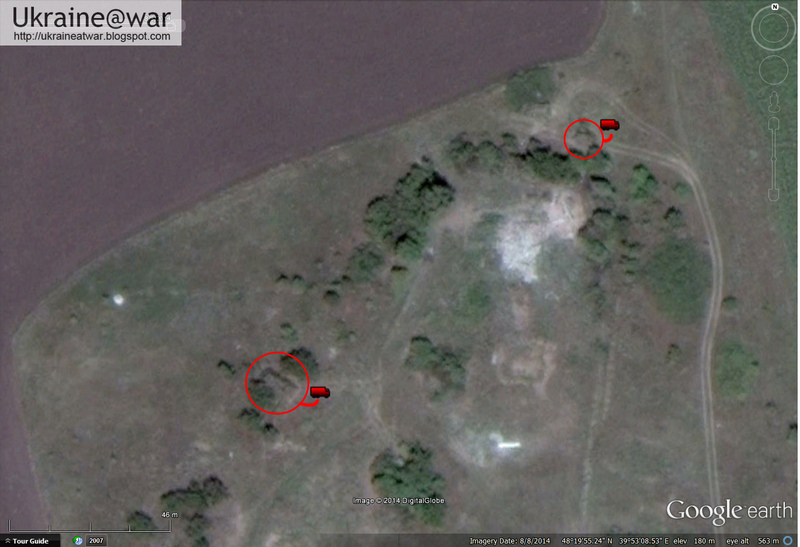 The white markers indicate uncertain, very small areas that may have been used by a mortar team or maybe a GRAD. 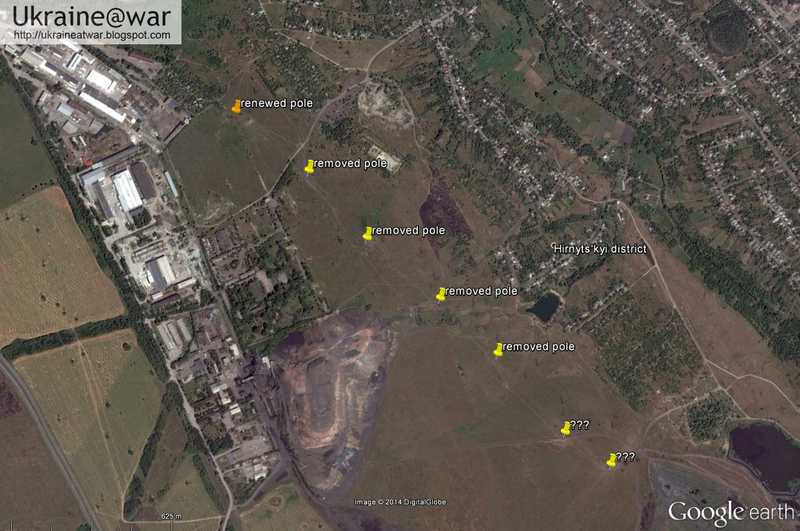 I am sure that new images of later date will reveal even more positions Westward from these. 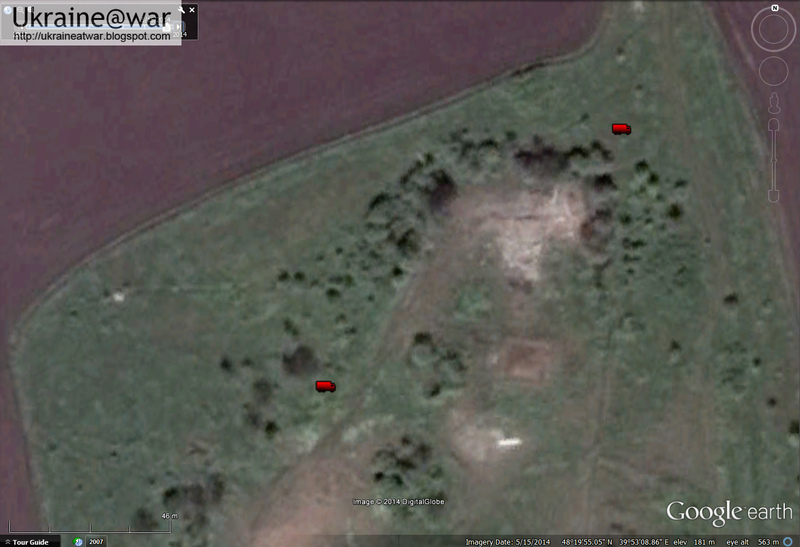 Unfortunately I have captured a (rare) case of construction work this time East of Makeevka :D.
Even then it can not be excluded that a single Rocket Launcher (other than GRAD) HAD been recorded on the 9th of August at that location. Two more positions could be spotted between August 9th and September 3rd. 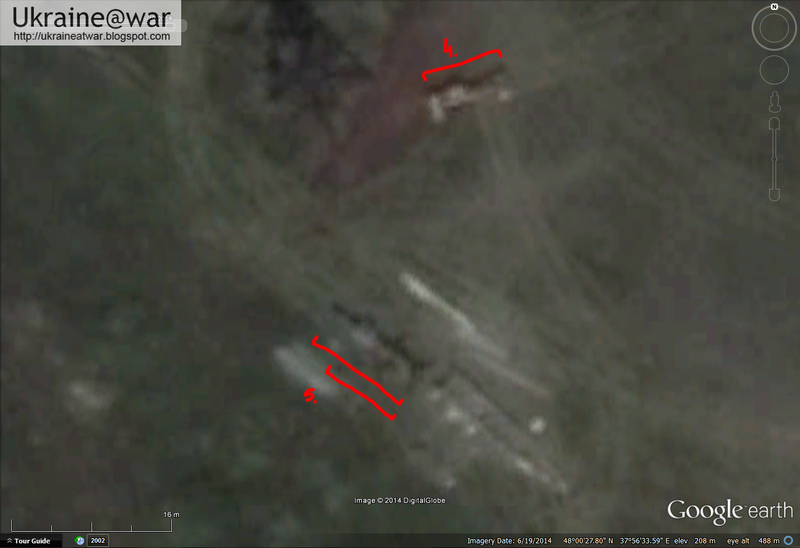 There are enough tracks and patterns that DO show fire positions and artillery activity. Especially when we have the combination of a geolocated video and tracks on satellite images. 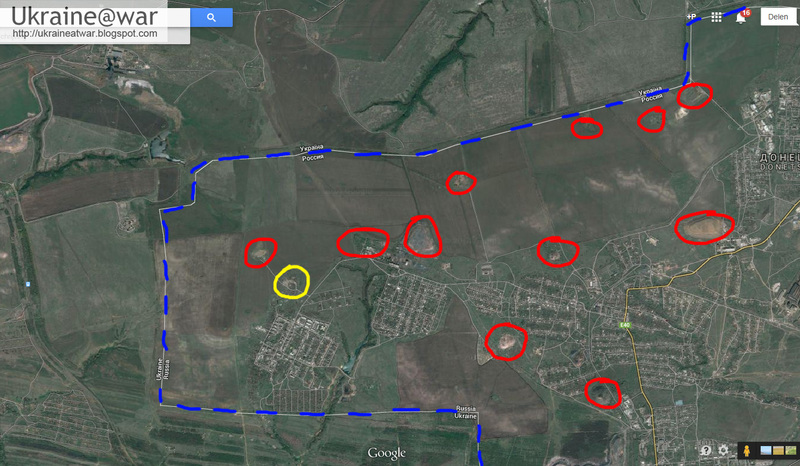 From the multiple track patterns like that South up to the South-West of Donetsk we can be sure artillery teams operated from these locations too.